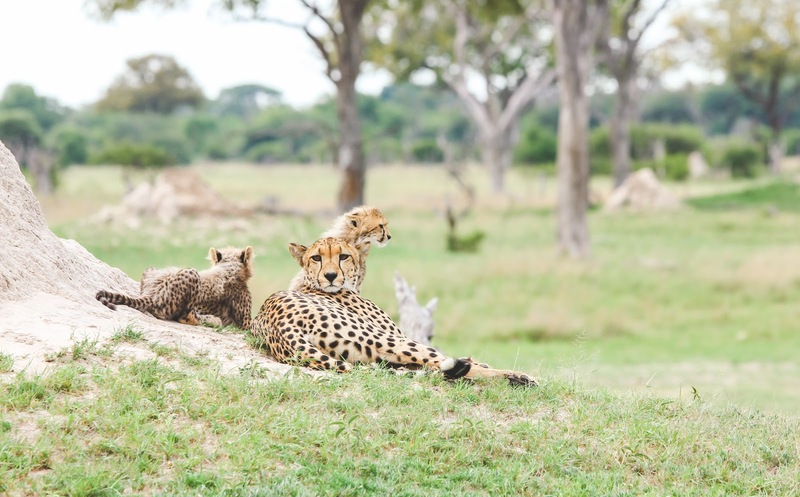 During our time in Hwange National Park, Lyndon and I got to spend some quality time with a mama cheetah and her two adorable cubs. We were extremely lucky and got to see them multiple times throughout our stay in the park. 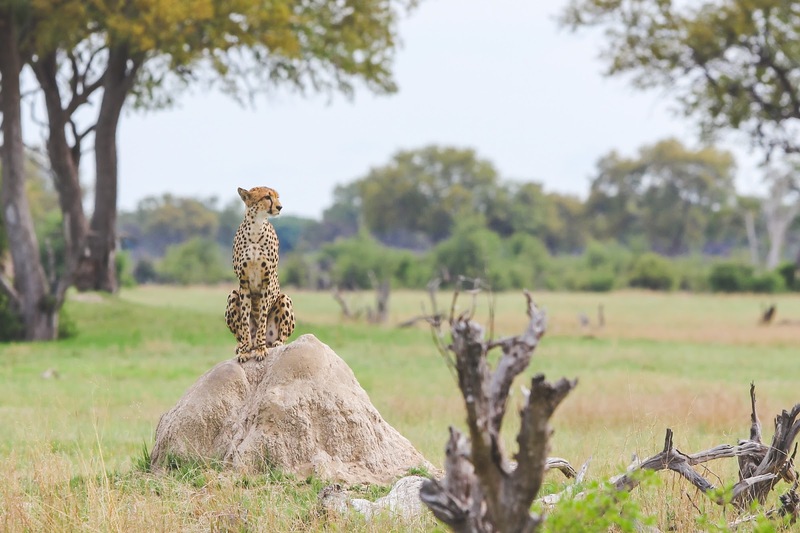 Some people go multiple safaris without seeing a single cheetah, so I know what we saw was something special. 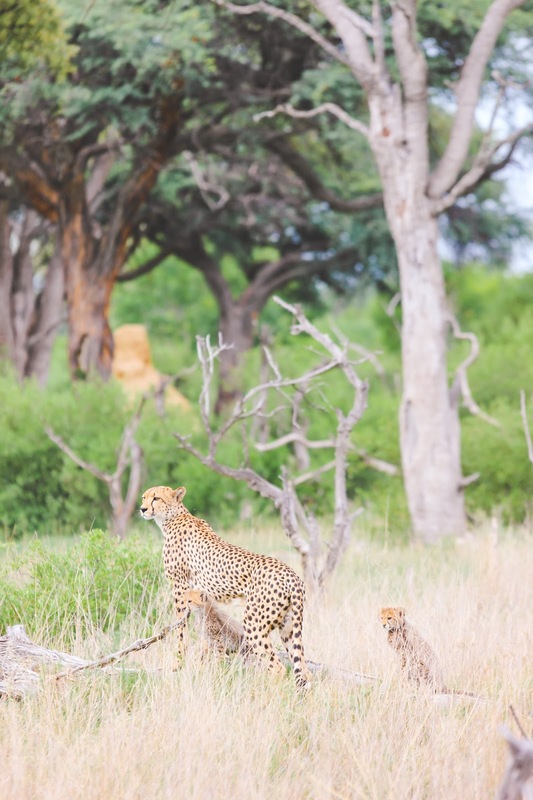 When we first spotted the family of three, we were on a morning game drive with Camelthorn Lodge. 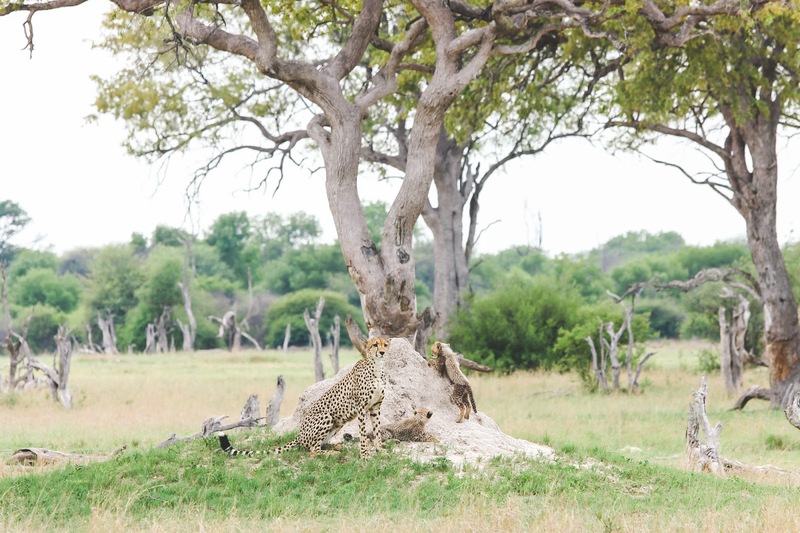 Vusa, our guide, spotted her laying underneath a tree in the shade with her two cubs. 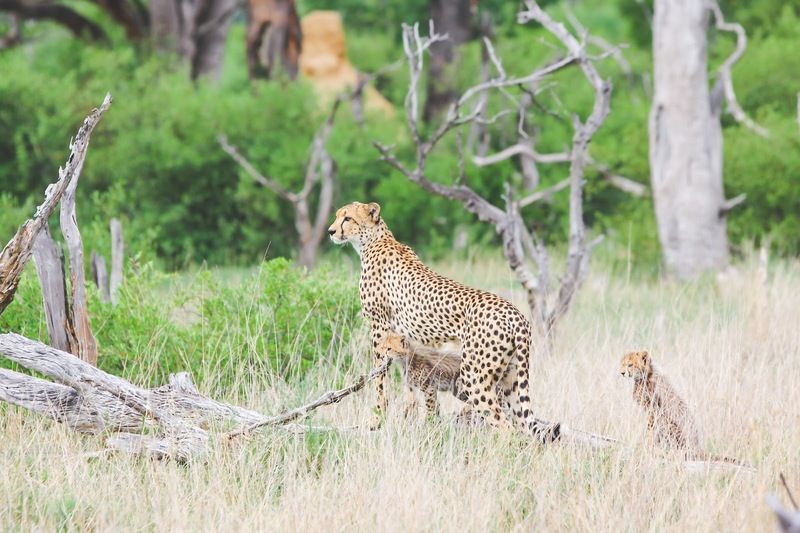 What started out as excitement quickly turned into worry as we learned that two days prior, she had four cubs with her. 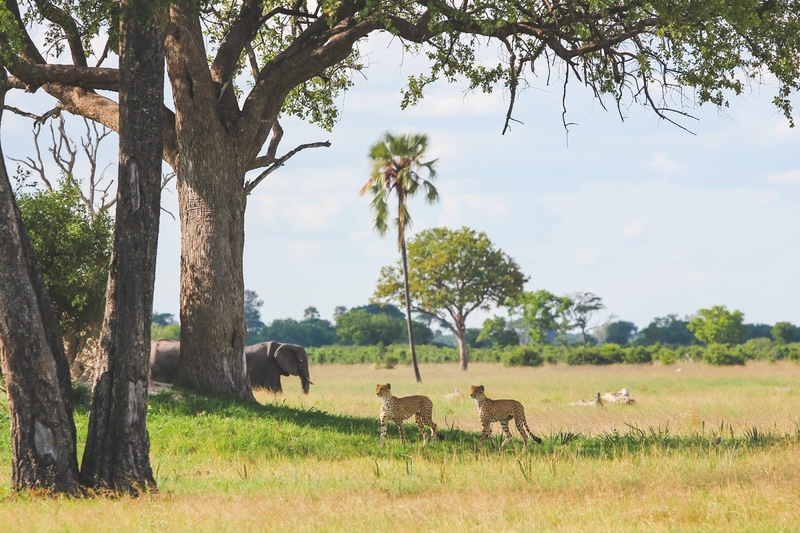 What made it even more heartbreaking was her continuing call to her two missing cubs, which made it clear to our guide that they were most likely killed and weren't just hiding in a safe spot. 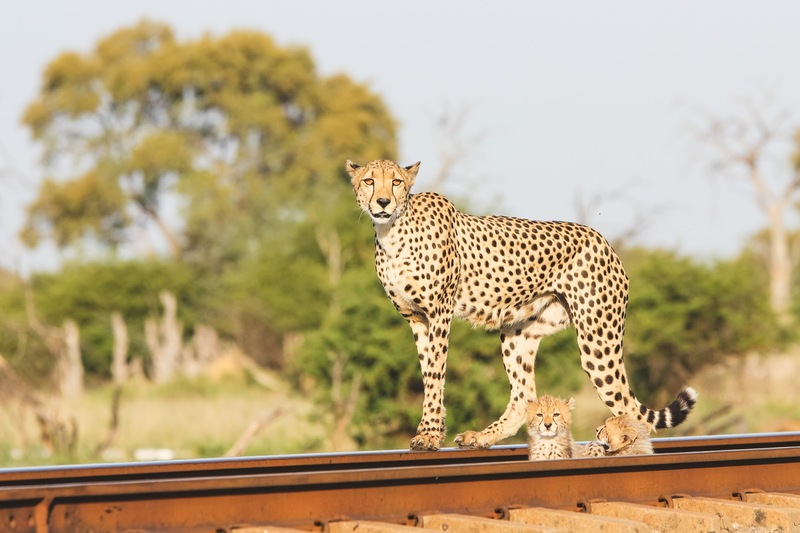 Cheetahs are the fastest land mammal and can reach 60 mph in just three seconds, but their speed still makes them vulnerable to humans, lost of habitat and prey, and other predators. 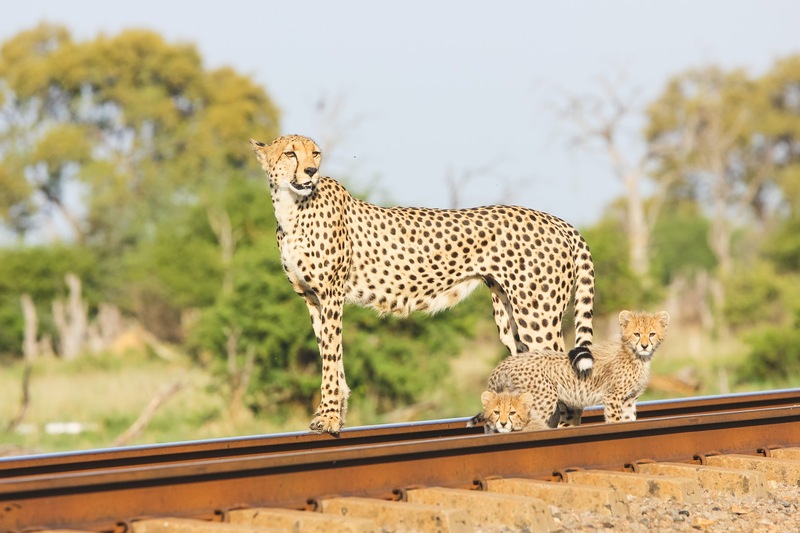 Cheetahs are listed as vulnerable and there are only an estimated 7,100 cheetahs left in the wild. 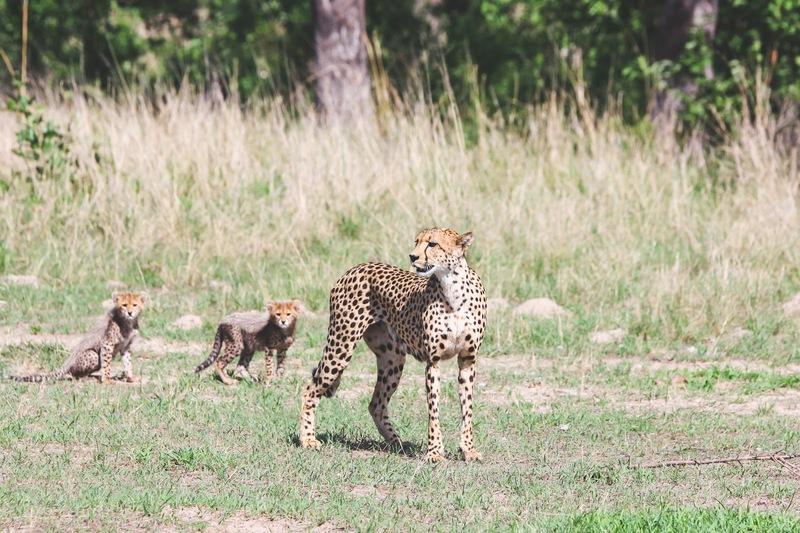 Cheetahs have it rough, they don't have a pride like lions or a clan like hyenas, but they hunt the same prey and are viewed as competition to other predators. Because of this, their cubs are often killed to "eliminate the competition". 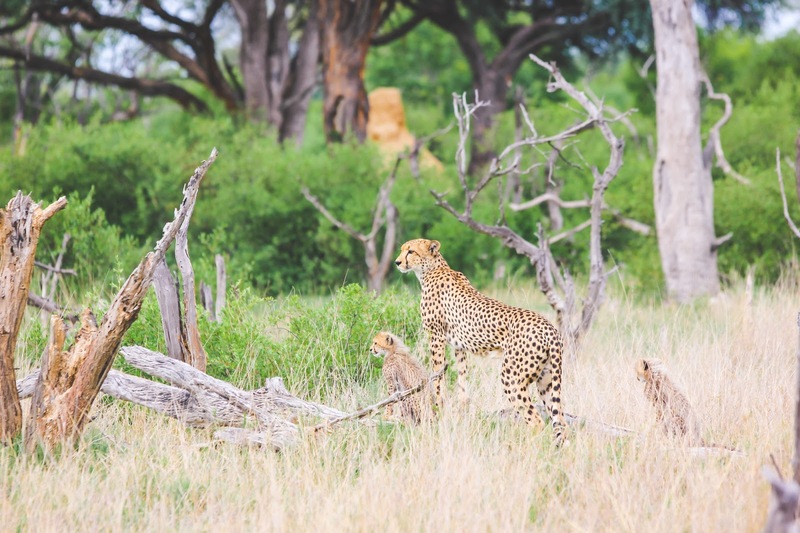 While male cheetahs will stay in pairs or in small groups (most of the time consisting of brothers), female cheetahs are loners and will only spend time with their cubs. 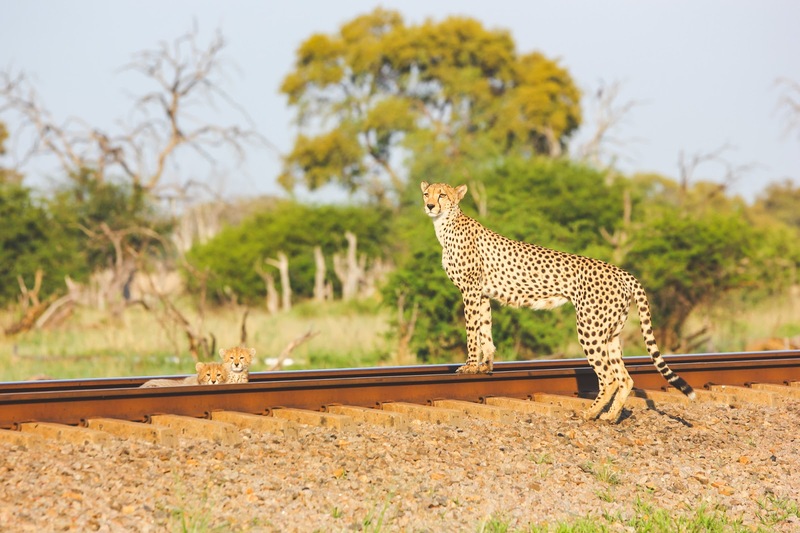 The gestation period for cheetahs is three months and on average, a female cheetah will give birth to two to five cubs at once. Cubs will stay with their mother for 18-24 months. In that time, she will teach them everything she knows, especially how to hunt. 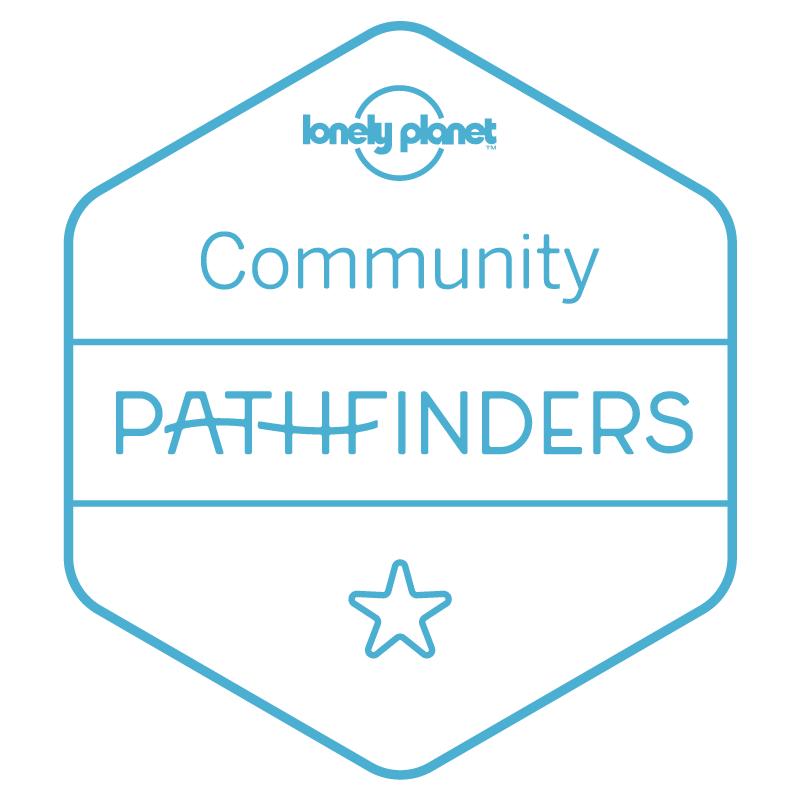 After 18-24 months, they are off on their own and will need to hunt and fend for themselves. 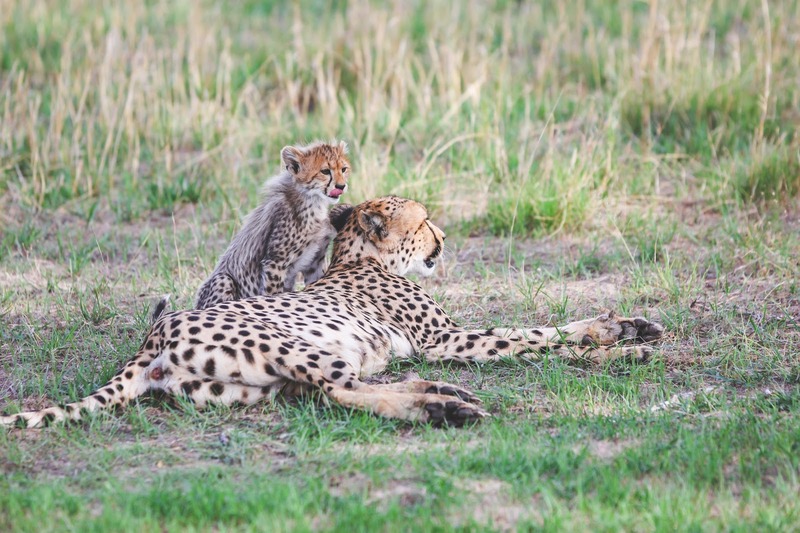 Cheetah cubs are tiny, weighing between 5 to 10 ounces when they are born. Because of their small size and vulnerability, nature gave them a pretty funny hairstyle to help protect them from the unpredictable wild. Notice the tall long hair that runs down their backs and tails. This is called a mantle. 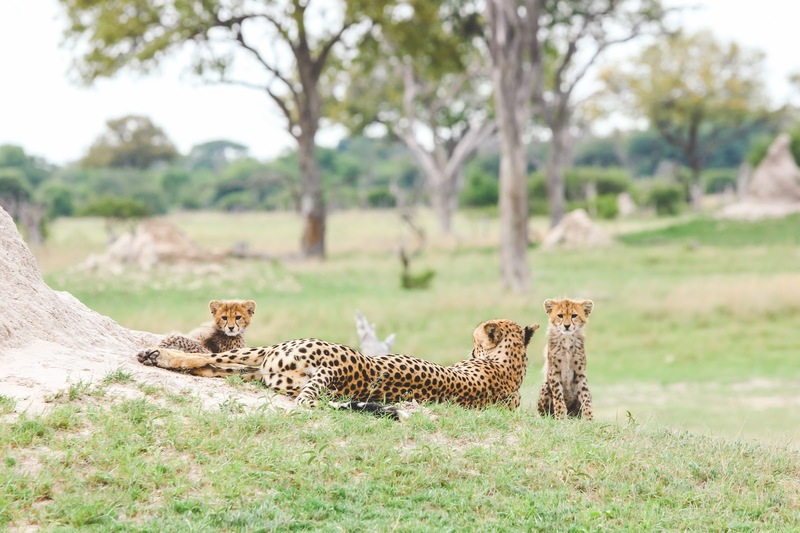 The mantle helps cubs appear larger than they really are and to help camouflage them into tall grass. Most interestingly, it also makes cheetah cubs look like the feared honey badger. Honey badgers are known for their aggressiveness and their "DGAF" attitude... the perfect animal to mimic. There's a super funny YouTube video about honey badgers, definitely check it out. 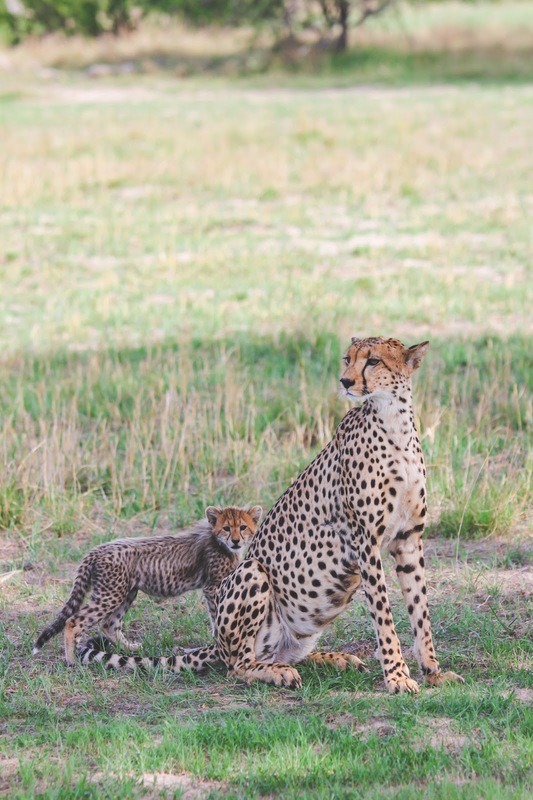 At first, the cubs were skittish of our vehicle which was to be expected since they were only a few months old. 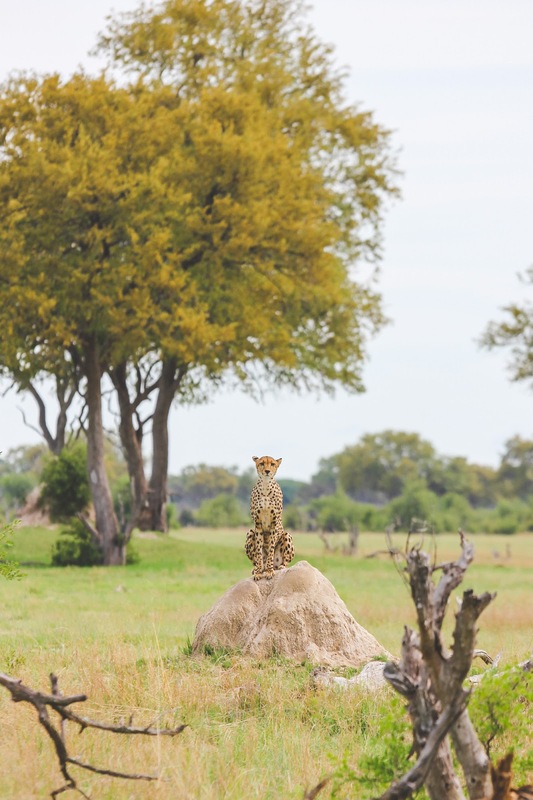 They would constantly look over at us and would try to hide behind bushes and trees, but mama cheetah (who has been around thousands of safari vehicles in her lifetime) would let out a little call to reassure them that we weren't going to hurt them and they would quickly scurry back to her. 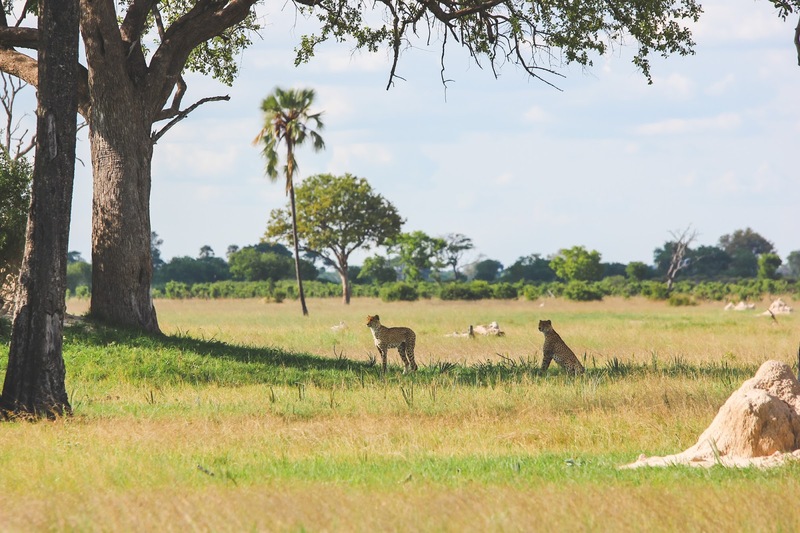 From the first time we saw the cubs to our last encounter with them, we could see a big difference in their comfort level with the safari vehicles. The first few times we saw them, it was just our lone vehicle following them. Our guide kept his distance to make sure he wouldn't scare them. That's how all animals in these national parks get accustom to having safari vehicles around. 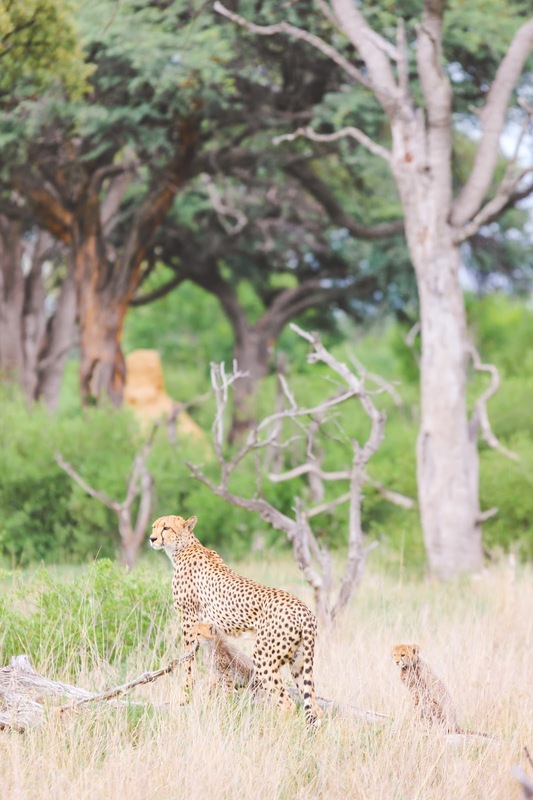 Fast forward to our last encounter with the cheetah family, us and three other vehicles are now following them and even with four vehicles around, the cubs looked more comfortable having us nearby. 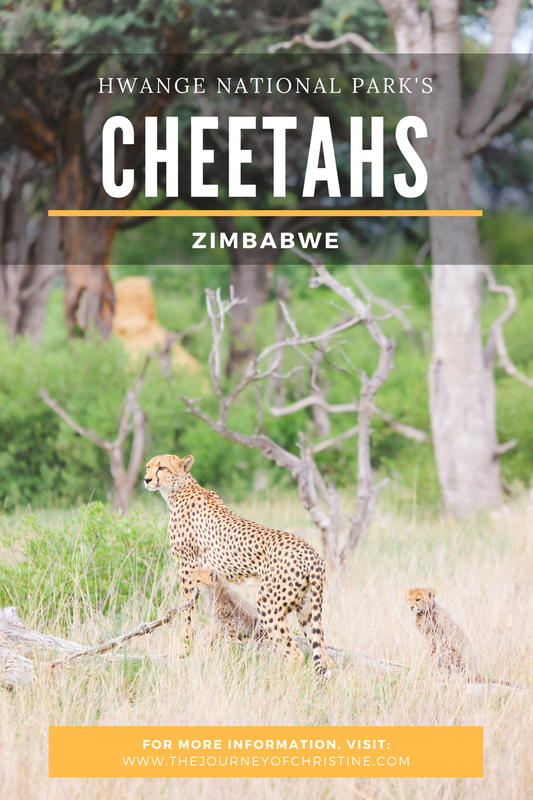 Not only did we get to see mama cheetah and her cubs, but we also got to see two male cheetahs while in Hwange National Park. One of them could have been daddy cheetah, but we will never know. What was so cool about seeing the two male cheetahs was that we got to see them hunt and run... fast! 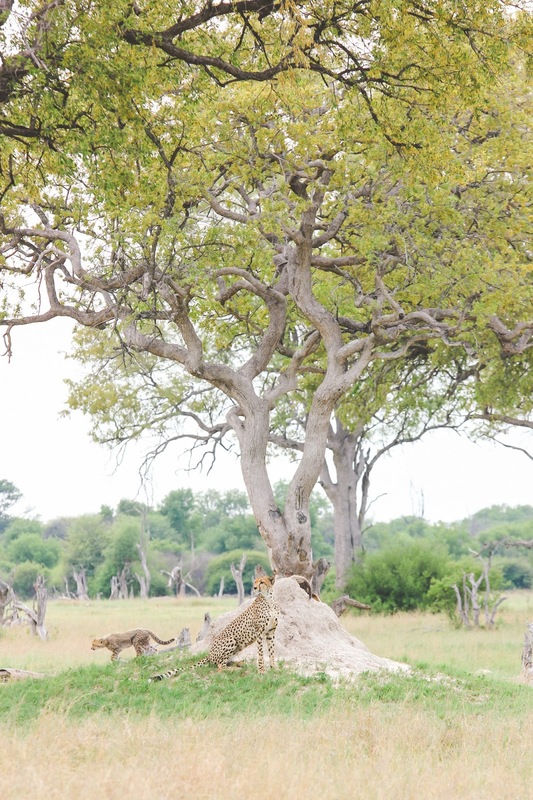 They spotted a small impala herd in the nearby distance, and as you can see below, they were on high alert. 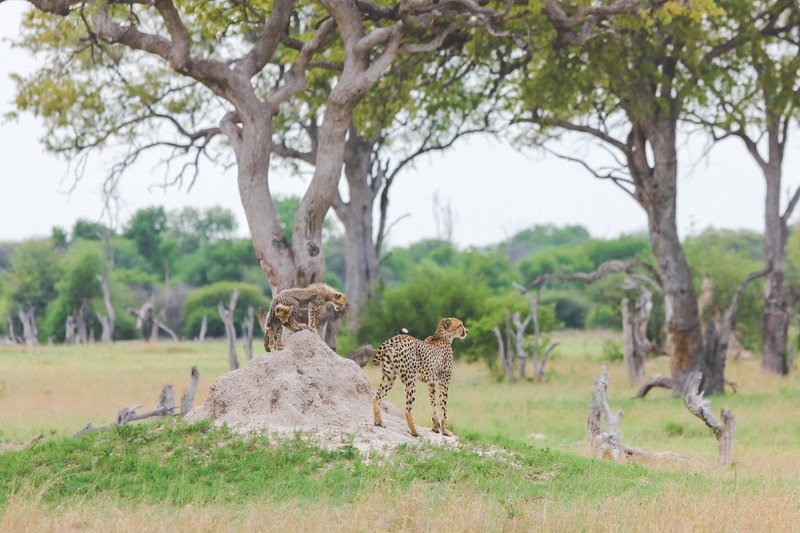 They started off just casually walking towards the herd, cheetahs are fast but the closer they can get, the better. But the impalas aren't dumb animals, they also spotted the cheetahs and their fight or flight instinct took over and they started running. 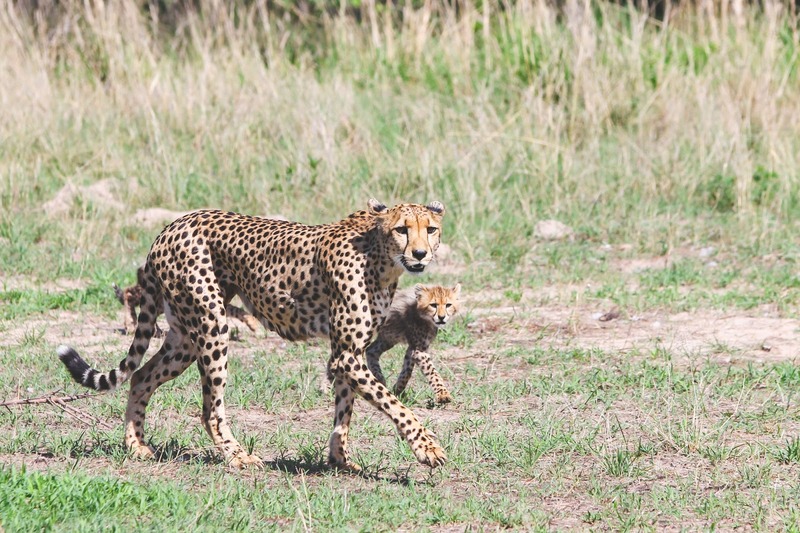 The cheetahs gave chase, going after the baby calf in the herd, and wow are cheetahs fast. 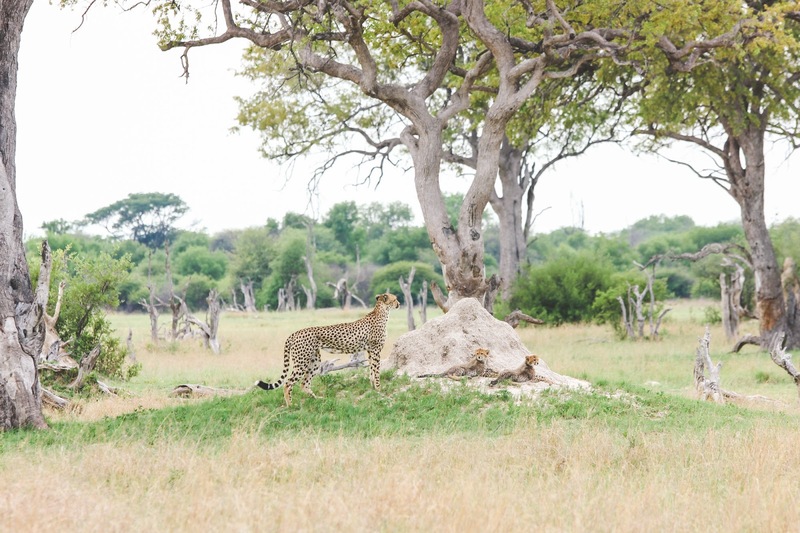 Our guide tried to follow the impalas and cheetahs but they ran into some trees and bushes and we lost them. Another vehicle on the other side of the bushes and trees said the impalas got away. That evening after our afternoon game drive, Lyndon and I went back to our tent and right by our door was a baby impala! 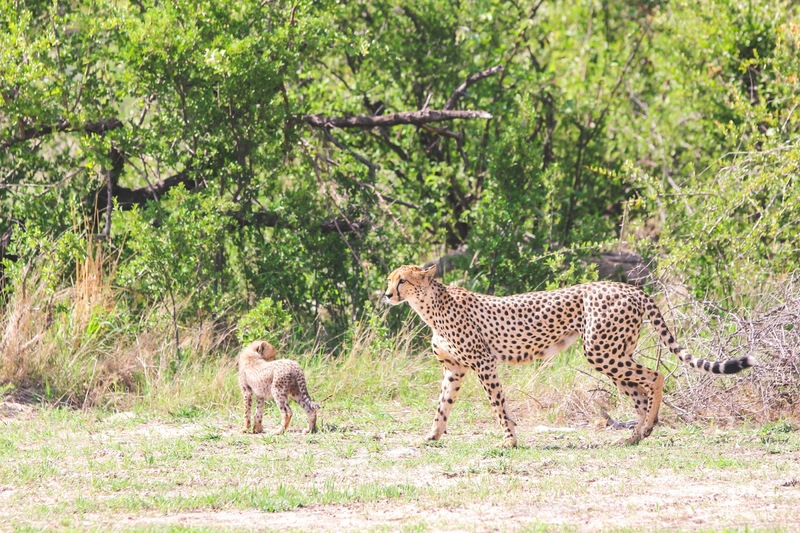 It had to be the one the cheetahs were chasing and got separated from its mother and herd. Our guide told us that it would not survive the evening alone and hopefully the mama impala will come looking for it. Nature is a funny thing. One minute, I was hoping the cheetahs would have a successful hunt so they can eat and the next minute, I'm hoping this baby impala survives the night and that nothing will come eat it. 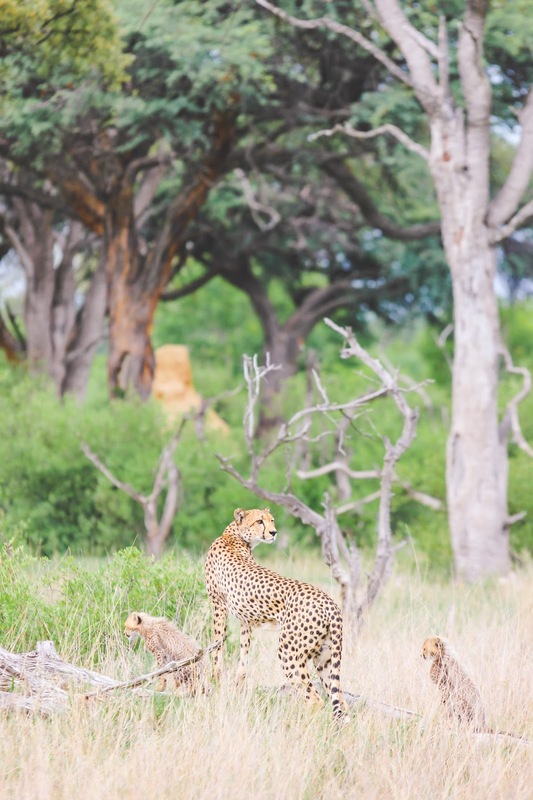 Seeing these cheetah (and as often as we did) was definitely one of the highlights of our entire Africa trip. 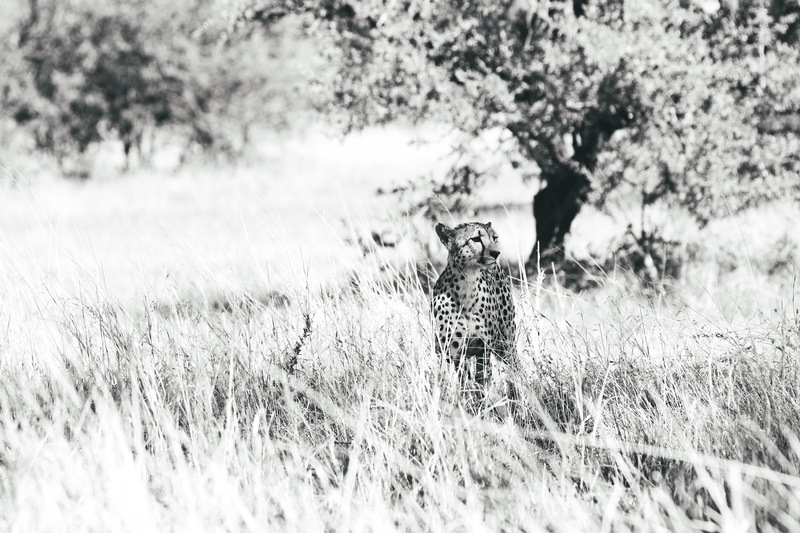 There was another family that was leaving Linkwasha Camp the day we arrived and they never got to see any cheetahs during their three day stay, so we were so incredibly lucky. Cheetahs are such amazing animals and it makes me sad to think about how there might not be any cheetahs left in the world in the (near) future. Cheetahs are one of Lyndon's favorite animals (it's between them and the leopard) and I have to say, they are quickly becoming one of my faves as well. 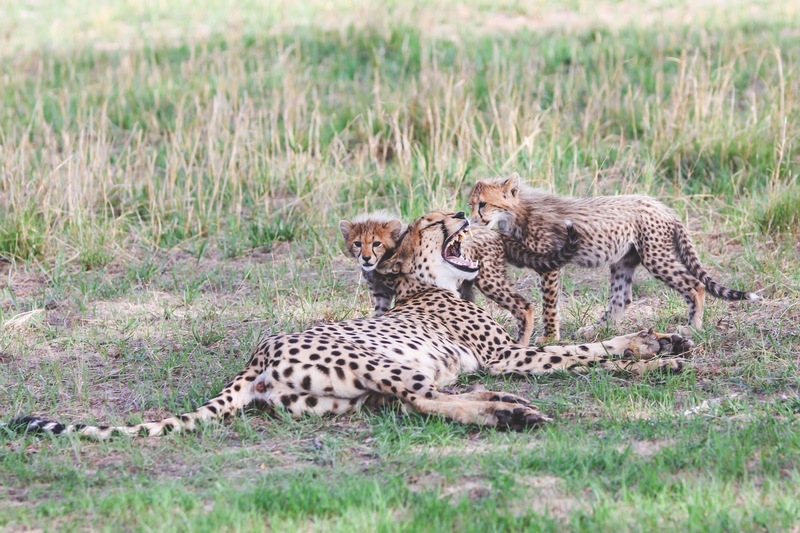 To learn more about helping cheetahs, check out the Cheetah Conservation Fund.